Trine Lilleng is the first secretary of the Norwegian Embassy in Saudi Arabia. Few know her but for the fact that she recently made this claim: "The grandchildren of Holocaust survivors from World War II are doing to the Palestinians exactly what was done to them by Nazi Germany." Her voice is not alone in this point. Gerald Kaufman, a British Member of Parliament, raised as an Orthodox Jew and Zionist, spoke of the Nazi soldier who murdered his ill grandmother as she lay in bed. He said, “My grandmother did not die to provide cover for Israeli soldiers who are murdering Palestinian grandmothers in Gaza. The present Israeli government ruthlessly and cynically exploit the continuing guilt among gentiles over the slaughter of Jews in the Holocaust as justification for their murder of Palestinians.” Kaufman then went on to say that when the the spokeswoman for the Israeli army, Major Liebovich, was asked about the Israeli killing of at that time 800 Palestinians, her reply was “the reply of a Nazi.” This, he said, because she explained that 500 of them were militants. By comparing Israeli actions against Palestinians with the Nazi extermination of the Jews, we do have reason to question exactly who here is exploiting the Holocaust. 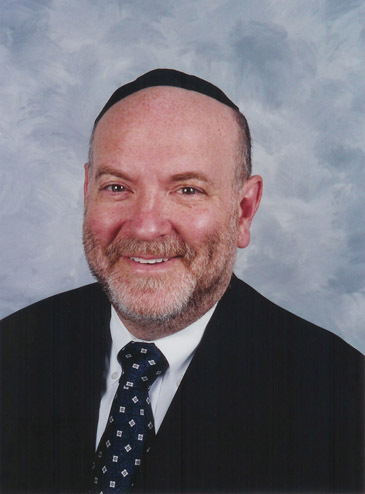 Let’s first of all examine the facts and I thank David Harris, Executive Director of the American Jewish Committee, for bringing the facts into focus. Back in 1967, when Israel’s right to self-defense forced it to enter Gaza, the population was 360,000. When Israel withdrew in 2005, the population was 1.4 million. As we all should recall, the European Jewish population during the Holocaust years did not quadruple—did it? Back in 1967, a Palestinian woman’s life expectancy was 46. When Israel left Gaza life expectancy had been increased to 73. What do you think the life expectancy of a Polish Jew was during the years of the Holocaust? I apologize for the rhetorical question. A Polish Jew during the Holocaust years basically had no life expectancy. During the 68 months of World War II, the extermination rate of Jews would figure to about 90,000 Jews per month. The three week Israeli operation in Gaza took the lives of 1000 Palestinians, the majority of whom were targeted for their active support of and engagement in terrorism against the State of Israel, the loss of innocent life stemming largely from Hamas’ use of ordinary citizens as human shields. Real Nazis would have conducted the incursion into Gaza with much grater drama. We should have at least seen the UN thrown out of the area; medical, fuel and food supplies cut off entirely; concentration camps forcing able-bodied men, women and children to labor gratuitously for hours; and we should have seen sickening medical experiments on twins and other biologically interesting Palestinians. I must say I agree with Gerald Kaufman of the British Parliament that the Holocaust is being exploited, but the exploitation is not by Israel, it is by its detractors who make insidious, idiotic, and immoral comparisons between two events that bear no resemblance to each other at all. Beware the comparisons. They are designed to keep Israel a victim and do so at the expense of 6,000,000 Jews who more than 60 years after their murders, deserve to rest in peace.